Recently I spent a weekend in Dorset with friends. 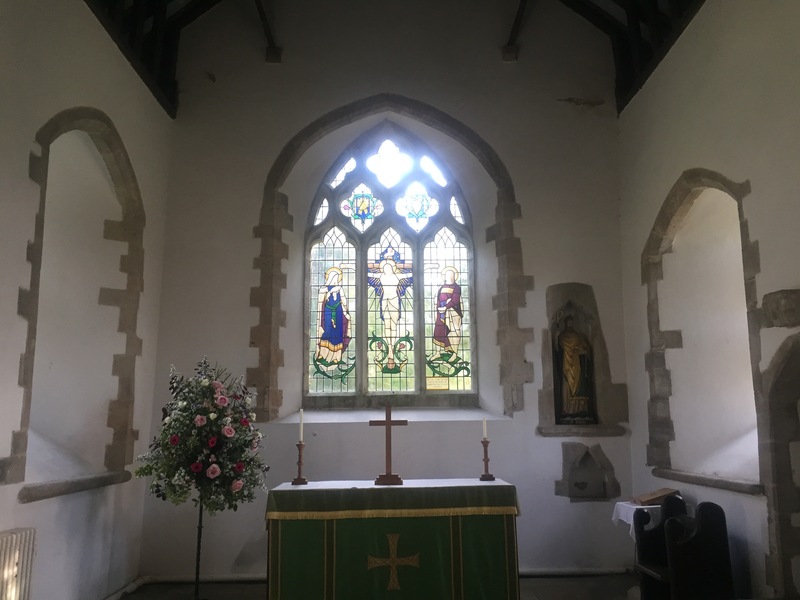 On Saturday, while they were off yomping along the coastal path I took the opportunity to explore the Church of St Nicholas in Worth Matravers, a village perched near the cliffs, about four miles from Swanage. A famous pub, the Square and Compass, sits at high in the village and attracts most of the attention, for its award-winning beer and cider and fantastic live music and also for its eccentric little private museum of ammonites (this is the area known as the Jurassic Coast), coins, old buttons and clay pipes. 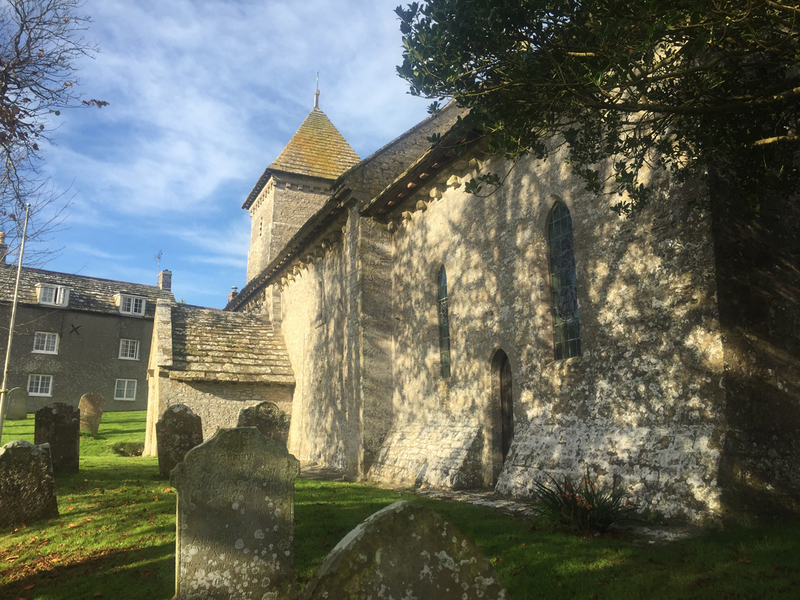 St Nicholas of Myra is one of the oldest churches in Dorset, with a Saxon entrance and Norman nave, tower, and windows. It is simple and beautiful, and it has that unmistakeable and – to me at least – nostalgic aroma of ancient stone and wood suffused with damp. On sale in the church is a little green A5-sized booklet, The First Vaccinator: Benjamin Jesty of Yetminster and Worth Matravers and his Family by E. Marjorie Wallace, for £3 (proceeds to the church materials fund).1 Ever on the lookout for Georgian stories, I snapped up a copy. Wallace tells the story of farmer Benjamin Jesty (born circa 1736), who is buried with his wife in the churchyard and who performed the first documented vaccination, by applying pus from an infected blister on the udder of a cow in Chetnole to the arm of his wife Elizabeth (Jesty scratched her skin above the elbow). He also vaccinated his two toddler sons. The boys suffered no ill effects; Elizabeth ran a high fever but recovered. Unfortunately, the neighbours were horrified and Jesty was widely derided and insulted. Some people appeared to believe that people infected this way would grow horns and resemble cows. 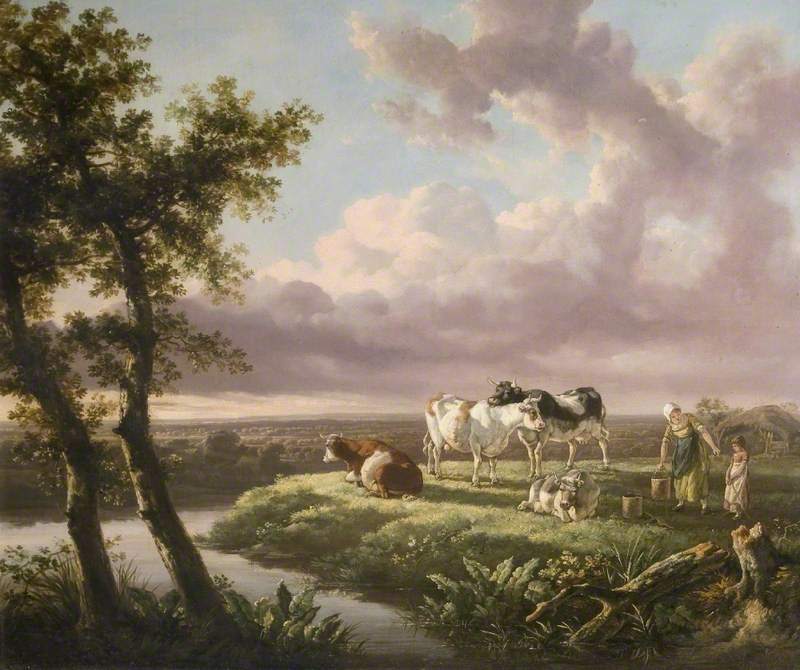 Jesty, who lived at Upbury in Yetminster2 knew, as did many country people, that milkmaids never got smallpox because they contracted cowpox, a mild infection in humans, in the normal course of their work. Indeed, milkmaids were traditionally described as ‘fair’, not for their blonde colouring but because they were generally free of the pitted scars that many people were left with if they were lucky enough to survive the illness, which had a mortality rate of about a third. At the time Jesty vaccinated his family smallpox was raging in Yetminster and many villagers had died. 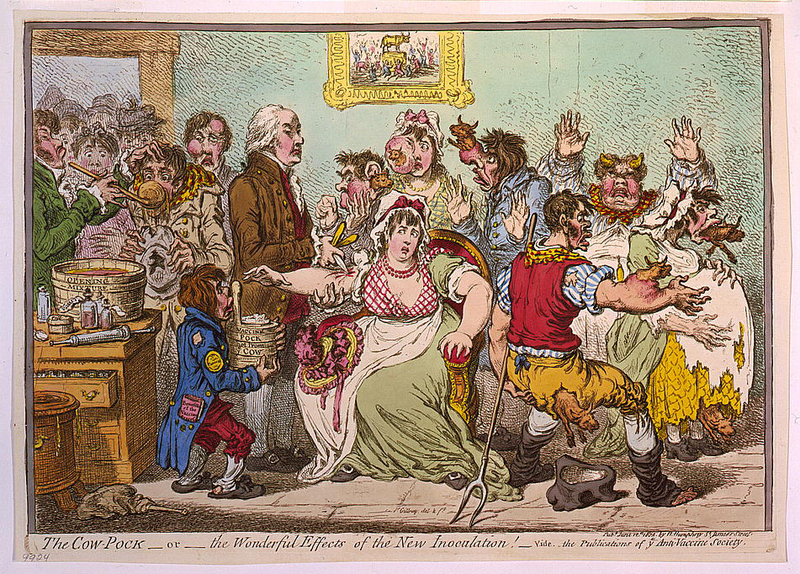 The practice of inoculation – using matter from a smallpox blister from an infected person to provoke a mild version of the disease in a healthy person – was well established in many countries, including Britain. It had some celebrity champions: human to human smallpox inoculation was given to George III and other Royal Family members and before that, in the early 18th century, it was supported by Lady Mary Wortley Montagu who witnessed its use in Turkey. It was a risky procedure, however, and sometimes resulted in serious illness, and even death. Edward Jenner, a doctor, had been inoculated as a child of eight and had suffered greatly afterwards. He was convinced that cowpox held the answer to better inoculation, and in 1796, 22 years after Jesty’s experiment, he made a breakthrough. He infected eight-year-old James Phipps with matter from a dairymaid who had cowpox. It was the first human-to-human cowpox vaccination. Jenner tested the success of his procedure by attempting to infect James with smallpox (luckily the boy was indeed immune). 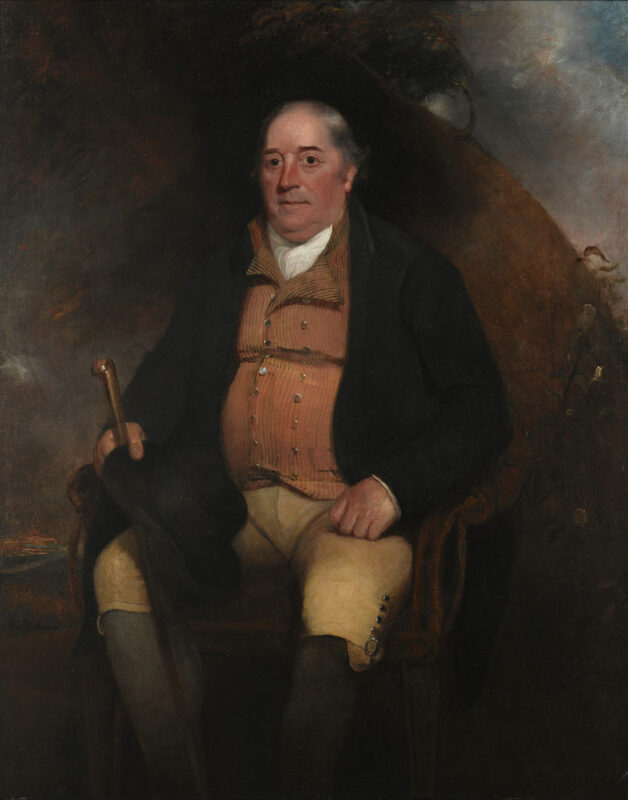 In 1805 Benjamin Jesty, who had since departed Yetminster and taken a larger farm at Downshay near Worth Matravers, was invited to London by the Vaccine Pock Institute for the purpose of having his portrait painted, his courageousness at last recognised. He was given 15 guineas and expenses and presented with a pair of gold-mounted lancets and a testimonial. He died aged 79 on 16 April 1816 and was buried in the graveyard at St Nicholas. The family moved away to Woolbridge and when Elizabeth died, she was buried in Worth next to her husband. You can do no better than visit Worth Matravers to get a copy, but if that is not possible, Amazon has one at the time of writing. The Rev Blakely Cooper, who features in my true-crime book The Disappearance of Maria Glenn, lived at Yetminster. Really pleased that you visited Benjamin’s grave. Actually Marjorie’s booklet is long out of date now and has some incorrect information. I have researched BJ since 1985 and have written and lectured extensively on my findings. I was the person who found the long lost portrait (in South Africa) of Jesty – now at Wellcome. Please note my new ebook.